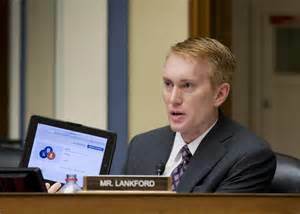 Oklahoma U.S. Sen. James Lankford will chair a Senate subcommittee hearing into the EPA’s latest Renewable Fuel Standards that have brought opposition from some in Congress, including U.S. Sen. Jim Inhofe. The Senate Homeland Security and Government Affairs Subcommittee on Regulatory Affairs and Federal Management will holding the hearing Dec. 1 at 1:30 Oklahoma time to explore two GAO reports on the Renewable Fuel Standard. Two key leaders will testify: Janet McCabe, Acting Administrator for Air and Radiation at the U.S. Environmental Protection Agency and Frank Rusco, Director of Natural Resource and Environment for the U.S. Government Accountability Office. The hearing will examine the Environmental Protection Agency’s management of the Renewable Fuel Standard and discuss the two Government Accountability Office reports from November 28, 2016 on the program. The first report shows that the RFS program is unlikely to meet its targets for reducing greenhouse gas emissions and expanding the US renewable fuels sector. The second report shows that low expected production volumes make it unlikely that advanced biofuels can meet the RFS program’s increasing targets through 2022.